Muddle-East: Kurds and Iraq Fight at Kirkuk. Avoiding Middle-East. While I think those ‘Westerners’ who went to fight against I.S. were as heroic as those who went to join them were either deluded or evil, I didn’t feel like going myself, apart from supporting the Yazidis, as I thought it would morph into another war, or other Islamist groups would rise out of it. That seems to have happened already, with Iraqi forces advancing on Kirkuk last week, after Kurdish people declared independence, in an oil rich part of the region. They had both been fighting against I.S. until recently defeating it in Iraq. To the north, the Kurds’ enemy is Turkey, which is a NATO member. The newly Islamist Turkey under President Erdogan seems as complex as the Middle-East as a whole. 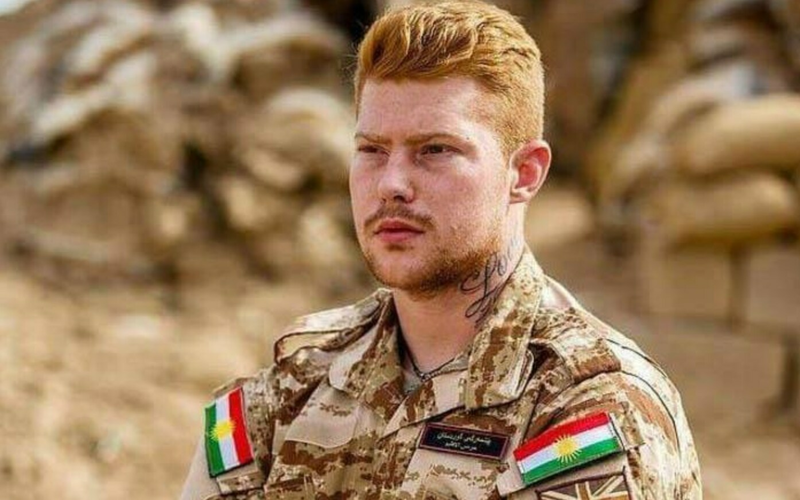 A few months ago, British ex-soldier Joe Robinson was arrested and imprisoned there after fighting for the Kurds against I.S. After Greece I went to the Middle-East. As my book states, I mostly had a great time, and as it was the first time I’d been outside Europe, I was often buzzing with the new sights and smells. However, the Middle-East is such a toxic region, with many ‘Westerners’ imprisoned there, that I don’t know if I should be promoting and celebrating it. That’s one of the reasons I suspended this blog a few years ago, after I.S. attacks made travel more dangerous – while the world is full of advertising, most of it for products with a negative impact, I don’t want to feel responsible for anybody’s decision that ends up harming them. Personally, I think it will also open me up to the ‘J’ word persecution (not Jersey!) by some in the liberal-left and far-right, who still blame ‘Js’ for all the troubles in the world. In fact, my atheistic criticism of monotheism (which most of them don’t know the meaning of, or didn’t before I wrote about it anyway! ), as well as male feminism, has probably been punished by the Harvey Weinsteins of this world – Stylist magazine’s man-of-the-year, Russell Brand, is the Hollywood star, not me!! Men who’ve been fighting against the grooming scandal for a decade or two don’t get a look in, while the Pied Piper (releasing his Trickster Tales book of that name at the height of it – if he is a dodgy liberal establishment (Hollywood to BBC! : not everybody there, or even a majority, but they are multi-headed beasts, as academia and other corporations are!!) patsy as some claim, they must have been laughing their heads off at the ‘masses’ buying that book at the height of liberal Britain ignoring the grooming of British children. In an exhibition in Leeds I recently saw that one of the creators of Penguin publishing, Brand’s publisher, was an Asian; I don’t know if it’s just a coincidence or not, and is just a coincidence as far as I know! Even trying to provide balanced neutrality in talking and writing about the Middle-East, such as claiming the Middle-East wars were a cycle of violence, after researching it quite intensively, if reluctantly, in university; it was a side issue to my Balkans focus; drew allegations of ‘J’ bias from my liberal-left circle of friends, who were like the Momentum wing of Labour now treating Jeremy Corbyn as the new ‘J.C.’, and who have been accused of anti-Semitism. Although there had been seemingly constant war in the Middle-East during the twentieth century, the biggest concern amongst Westerners in the late 1980s seemed to be inspired by the Midnight Express movie. The 1978 movie told the story of Billy Hayes, and his harrowing time in Turkish prison after being arrested for possession of hash. While I’d like to post my nice photos from the Middle-East here, I don’t know if I should, considering the situation in the region now. What do you think? I understand if you don’t want to publicly declare your thoughts; I don’t want to either really! Like Salman Rushdie found out, the more you want to free yourself from the Muddle-East and its religions/wars, the more you’re drawn into it!! I don’t know the ins-and-outs of the Middle-East wars, and although I specialised in international affairs in my university study, I now feel like focusing on Britain and its near neighbours/allies. However, even that’s muddled, with Joe Robinson a hero British ex-soldier now being held captive by a NATO ally after fighting against our deadliest enemy in recent years! Although the Syria war was horrible, and I wonder if we could have stopped I.S. earlier, I think keeping U.K. troops out of it was a good decision, and I definitely think that Parliament was right to not bomb Assad, as that would have helped I.S., prolonging their evil reign. The fighting still going on in Syria, and growing around the Kurds, suggests there won’t be peace in the region any time soon, but I think the U.K. is right to stay as isolationist as possible, while helping those fighting against the Islamists as much as possible; and helping British people who fought against I.S. to return, such as Joe Robinson.